Posted in: 2D, CG Releases, Downloads, Softwares, Windows. Tagged: Adobe, Prelude. Tag and transcode video footage rapidly and quickly create a rough cut with Prelude – a video logging and ingest tool designed for intuitive, efficient media organization and metadata entry. Translates effortlessly into Adobe Premiere Pro, ensuring fluid communication and organization throughout the video production process. Speed up your video ingest and logging tasks with flexible new ways to enter metadata in Prelude CC. Preview clips and create rough cuts that open directly in Adobe® Premiere® Pro to keep your production vision intact and accelerate the editing process. 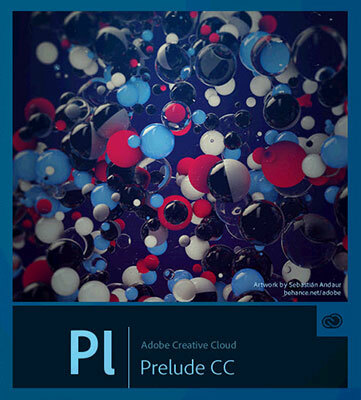 With Prelude CC — part of Creative Cloud — your creative process becomes seamless, intuitive, and more connected. Get it as a single-app membership or with a Creative Cloud complete membership, which also includes every other creative tool.